Well, it seems winter has hit the west coast of Newfoundland. It’s much too early in my opinion, but Mother Nature doesn’t give two hoots what I think. 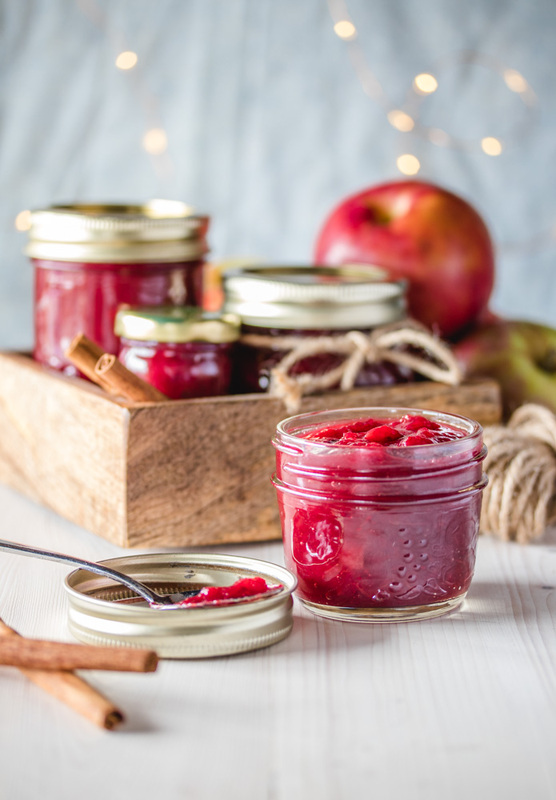 We’re commiserating by cooking everything cozy and comforting to keep warm, which is where this Cranberry Apple Chutney comes in. I am not a huge fan of chutneys that are too acidic and vinegary – I like a more balanced approach. It shouldn’t taste like a pickle, in my opinion. This traditional Newfoundland-style chutney balances the tart acidity of the cranberries and apple cider vinegar with the sweetness of the apples and cinnamon and cloves. It has just a hint of zing, which is just the way I like it. The chilly weather also has us thinking about Christmas and gifts, which is another great way to use this recipe! 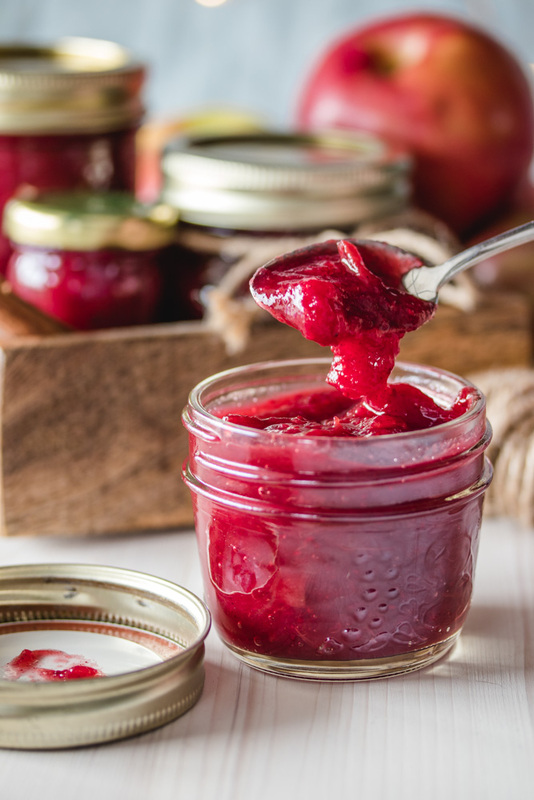 Who doesn’t enjoy getting a bottle of homemade preserves? We freaking love it. Let us know if you try it, we love to hear from you! A sweet and tart lightly spiced classic. Combine all ingredients in a small saucepan on the stovetop. Bring to a low simmer over medium low heat, until apples and berries have broken down and begin to form a sauce-like mixture. Add water if it starts to stick on the bottom to prevent scorching. The cranberries can vary widely in tartness, so taste and adjust sugar as needed. You may need to add up to a 1/2 cup.